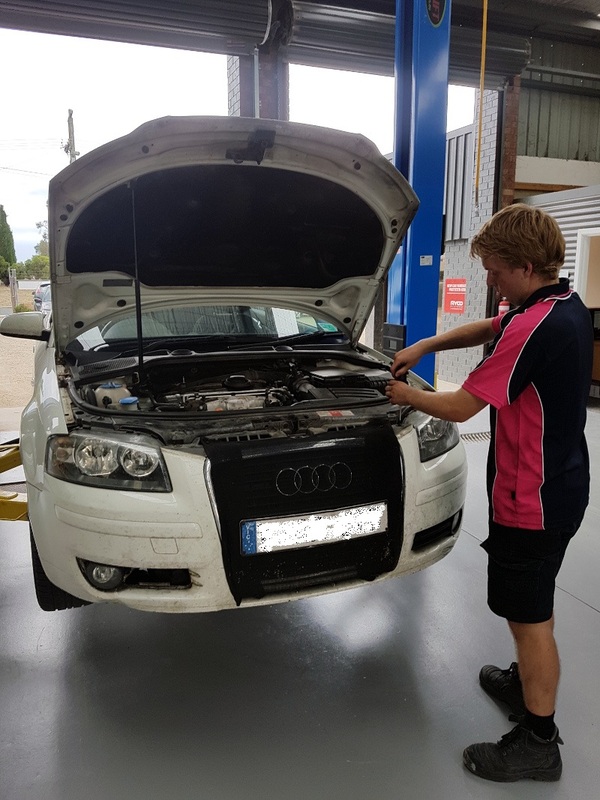 Our repair of the week is this Audi that came in with the engine light on and lack of power. 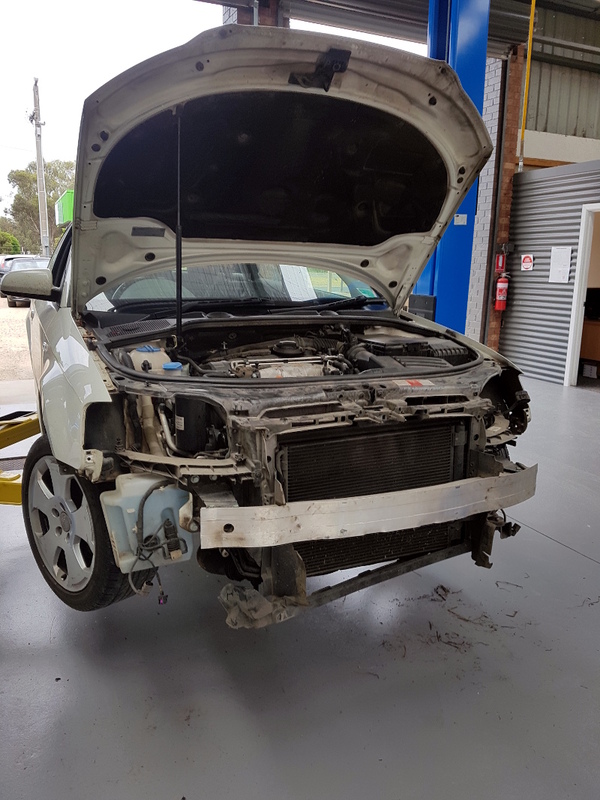 We quickly investigated the problem and found a hole in the intercooler. 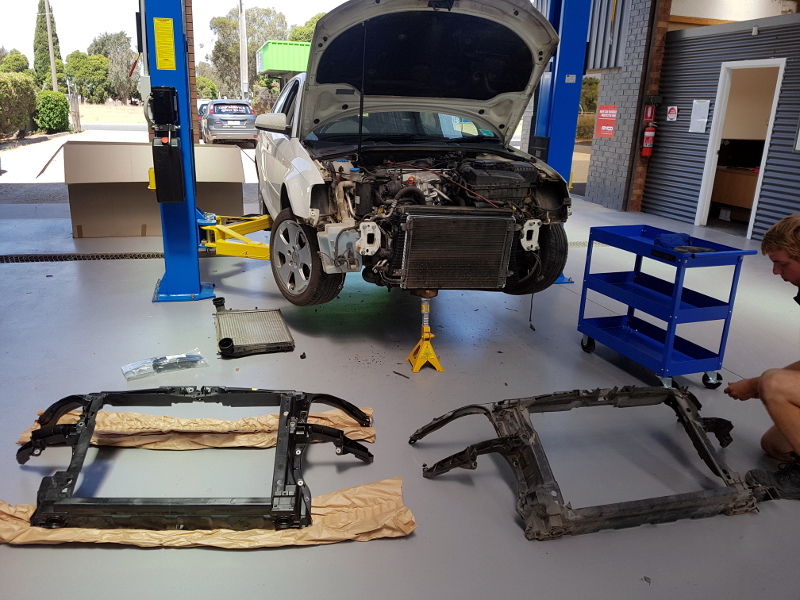 Our team removed the front bumper and found the front support panel snapped in half (must of been a big hit). We ordered genuine parts and began to assemble them. We erased the engine light and returned her to her owner. Engine power has returned and our customer is a happy man.